When you need a durable and affordable flat roofing material, consider built-up roofing. With several layers for extra durability, these roof systems are extremely popular. Call Roofworx at 817-920-5974 for built-up roofing in Fort Worth, TX and Dallas, TX! Used for many decades, built-up roofing (BUR) is a reliable method of protecting your flat or low-slope roof. There are a variety of specific materials and methods used for installation, including hot and cold-applied. 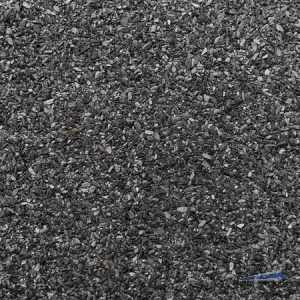 Asphalt and tar or another adhesive are most often used for the ply sheets, with a ballast or surface material on top. Pea gravel or other rock is commonly used for ballasting, which protects the lower layers from harmful UV damage. Most built-up roofs have three to five layers total, and the more layers, the longer your roof will last. This creates a multi-ply, weather resistant roof system that can last 20 years on average. To make sure you get the most out of your roof, professional installation is critical. Installing or replacing a built-up roof is an intensive and messy process requiring experience and precision. When you need built-up roofing in Fort Worth, TX or Dallas, TX for your commercial building, contact the team at Roofworx. We will carefully assess your roof and consider your budget and needs to determine the roofing solution for you. Have a built-up roof that is in need of repair? No problem! Our skilled contractors can repair cracks, replace ballast, and much more. Don’t trust just any roofer with built-up roofing repair and replacement, or you could risk serious problems developing down the road. Water damage can wreak havoc on your flat roof, so proper repair and installation is essential to prevent ponding water. Contact the team at Roofworx for skilled built-up roofing installation and repair in Fort Worth, TX and Dallas, TX today! We will work quickly to get your building back in shape and ensure that it is ready to weather the next storm. Call our commercial roofing contractors at 817-920-5974 today to learn more about our built-up roofing services in Fort Worth and Dallas, TX. Updated on March 28, 2017 at 7:28 pm by Roofworx & General Contracting.